There really is nothing quite as satisfying as doing a little work around the house by yourself. Not only do you get to check some important items off your “To-Do” list, but you feel great about what you’ve accomplished at the same time. 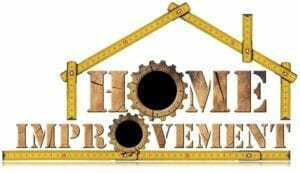 The key to being a DIY master, however, involves both understanding which projects are safe to do on your own and which ABSOLUTELY require you to call in the help of a pro. There is no shame in calling someone to come in and finish a job for you, particularly if not doing so could create a dangerous situation for you and your family. One of the best home renovation projects to take on by yourself is one that homeowners have been successfully completing for decades – ceiling fan installation. What makes this so easy is that ceiling fans themselves come with all of the necessary hardware required to get things up and running as quickly as possible. While it’s true that you’re working with the electrical system in your home, you’re not rewiring anything – making it one of the safer electricity-based projects to attempt. Another classic DIY home renovation project involves toilet tank repair. You may assume this is difficult because of the plumbing factor, but it really isn’t – most toilet tank issues stem from one or two faulty parts (like a broken chain or a cracked seal) that can inexpensively and easily be repaired on your own in just a couple of minutes in many cases. Light switch or power outlet replacement is another terrific project to do yourself if you really want to flex those DIY muscles. Once you turn off power at the main circuit breaker, the hard work is essentially done. All you need to do is unscrew the old outlet, screw in the new one, make sure the wires are attached as per the included directions and turn everything back on. While making basic repairs to your toilet tank is absolutely something you can do yourself, replacing the tank or even the entire unit will definitely require the help of a professional. Replacing the unit requires extensive work with your home’s plumbing system and the consequences of making one wrong move can be pretty severe. It’s best to call a pro when doing advanced plumbing work like this. Another home project that will definitely require the careful hand of a professional involves tree trimming or tree removal. Not only are you climbing to extreme heights and hanging high in the air, but you’re also using a chainsaw or wood chipper at the same time. All of these elements are recipes for disaster, which is why calling a pro is always advised. One of the home projects where it is ESSENTIAL for you to call in the help of a professional is anything involving your garage door and, more specifically, installing a garage door opener. You may feel confident on your own, but if you’re wrong someone could get pinned under the door itself and the situation could prove deadly before you know it. Never risk someone you love getting hurt and call in someone with experience installing garage door openers to help. If you’re in areas like Dallas/Fort Worth, Austin, or Houston and are looking for a trusted partner to handle all of your garage door repair or installation needs, you’ve come to the right place. Contact the professionals at Action Garage Door Repair Specialists today for more information.